Also known as Chicken Karahi, Murgh Kadhai is a spicy and fragrant northern Indian chicken dish that is relatively simple to prepare. This recipe was first published in Flavours magazine. Heat oil in a pan. Add cumin seeds once the oil is hot enough. Add ginger garlic paste and saute for 2 minutes or until fragrant. Stir in chilli and coriander powders, chicken and salt. Cook on high heat for 2-3 minutes, constantly stirring so it doesn’t burn. Add the rest of the ingredients to cook for another 6-8 minutes and adjust seasoning to taste. Remove from heat. 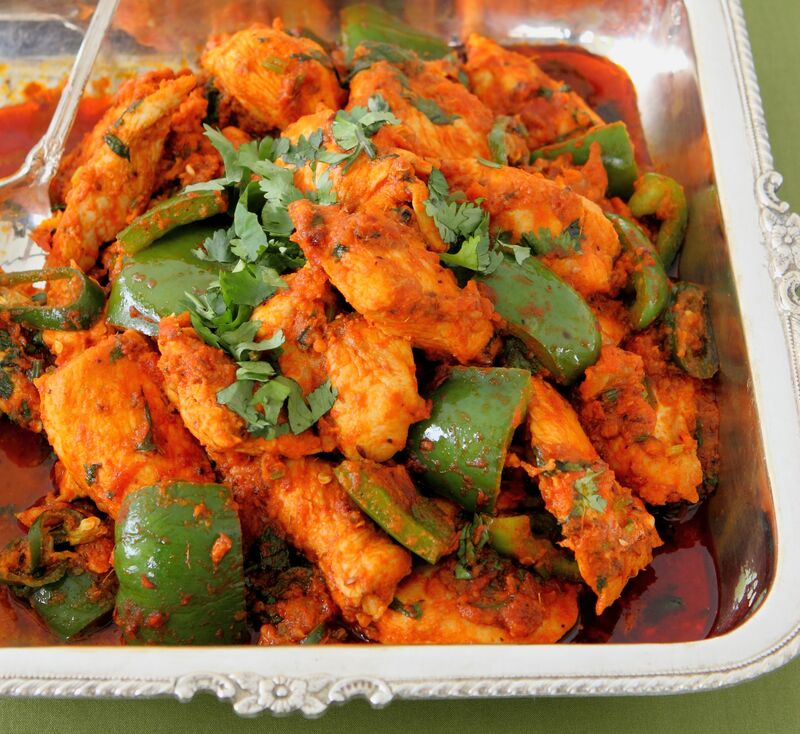 Serve with Indian bread of your choice.